Why Should I Invest In A Towel Service? 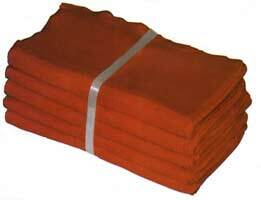 | Ace Uniform Services, Inc.
A towel service could be a huge time-saver for your business! Are you one of the many business owners who go through ample amounts of towels on a daily basis? Businesses like gyms, hotels, and spas depend on an abundant supply of towels for their client base. In many cases, it can be challenging to keep up with the need for a large supply of clean towels. It can be incredibly frustrating having to restock a shelf with a stack of towels only to see them quickly disappear before your eyes. With that said, here are some of the benefits of using a towel service and why you may want to consider investing in one for business! Why waste time where you don’t have to? As a business owner, it is important to keep in mind that time is money! It does not make sense for an employee to have to handle the towels when you can easily have someone else take care of it for you. Try to imagine the extra time you will have if you don’t have to worry about towels as much anymore. You can use this spare time for more important things like paying bills, training staff or cleaning other areas of your establishment. Not only is a towel service convenient, but it can also make your business a lot more efficient. Electricity is not exactly cheap these days. If you consistently have your washer and dryer going, you need to realize that is going to have a massive impact on your utility bills. By choosing to utilize a towel service, you won’t need to worry about energy/water costs, or even needing to buy detergent! Although it may not seem like it, it is cheaper, in the long run, to sign up for a towel service than to continue washing towels on your own. This entry was posted on Friday, January 12th, 2018	at 1:33 pm	. You can follow any responses to this entry through the RSS 2.0	feed. Both comments and pings are currently closed.